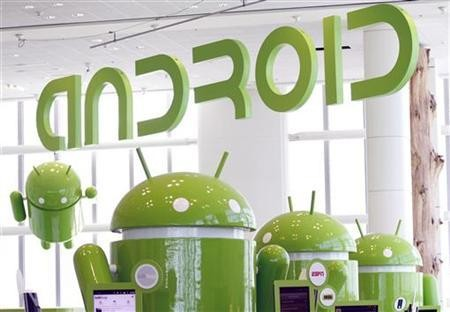 New rumors says that Google is working on Android 4.2, and that it is very near a release. Some server logs has showed two different Motorola devices that is running on the update to this year’s Jelly Bean release. I think it would be better if as many devices as possible was running Jelly Bean before pushing out an update of the OS. A very tiny fraction of all Android devices are running on Jelly Bean 4.0. Wouldn’t it be better if they got updated to the latest OS before releasing a new one? The advantage is that companies can use it, develop a version of their self… Do what they want with it :-). That way other versions can use the same featured. I am pretty sure they do that. And by releasing 4.2 (which will be on the next Nexus devices) they will increase the pressure. Because manufactures are going to be behind one more version and they will feel the heat from the customer. The rumour abound is that the nexus programme is to be opened for all so more nexus models will be available with stock android. There’s also a rumoured customisation centre where OEMS can provide themes, launchers etc. If that comes to fruition then things may get better in terms of update rollout. This of course assumes that Google does all the work on the new version port. If the OEM still does it then expect the same delays, idle promises etc. Fragmentation is a natural thing. You have it in every ecosystem. The way I see it it is like a linux distribution, you chose one and then has to stick with what the distribution release. The development with the linux kernel and the GNU tools are worked on independently and doesn’t care what distribution you use. If you want bleeding edge you use a distribution that provides that. Windows has fragmentation, I still have machines running XP and they still get the job done. Running an older version of android isn’t that big deal,version 2.3 is still usable and still good, and the OEM releases security fixes for them. If you want run the latest version of android you simply chose a model that runs stock android (or root the phone and fix it yourself). I think the main point is, that people who want the latest and greatest, get a Nexus/flash their phones. Most of the people who buy a phone, like a Sony Xperia, or Samsung, don’t really care. When an update comes, it comes. It does exactly what they expect of it, and more. And so long Android is technically in front with features, and flexible, it doesn’t really matter. The big problem with android, as i see it, is that all major companies persists with their one, often bad, interpretations of android. Their customers always have to wait for the next big release, while the rooting-community always have versions ready for the masses. Some of us, more interested in electronics and tech (geeks, nerds, whatever) have the knowledge, or at least the interest to compensate, to flash our handsets with cool androidreleases while the android users in large sit in the laps of the major companies. I’m happy with it. Using a Nexus-phone i always get the releases quick enough, even though i can’t stand the wait and often get the latest release via xda or similar. are still being used, those are far too weak to sport anything cooler than android 2.3. It’s always gonna be that way with android. I can live with it, cause i have an os that suits me perfectly. The wifey uses iOS and that suits me too, cause there’s absolutely no effort supporting her when i need to. My wife’s phone runs Android 2.3.x, mine runs 4.0.x. No problems with that, except that hers is more that 2,5 years old, and a bit slow. But that’s a different problem. From an Android developer perspective supporting older versions is not really a big deal unless you make an exceedingly advanced app - as some of you know, my Prisjakt/PriceSpy app works fine from 1.5 (in fact, also from 1.1, but that is pretty pointless these days), picking up new features from 2.x, supporting tablet layouts in 3.x and some features added in 4.x. In this approach I’ve just a handful of “Reflection” methods that adjust to what you are running. In some other apps (such as Industrilandskapet and Lampguiden) I’ve also used ActionBarSherlock which includes Android’s compatibility library allowing the use of so called fragments and the ActionBar down to version 2.1. This increases the size of the app a bit, but as long as you start out building for it from the start it is no big deal to support. The “reflection” approach makes is pretty easy to simply disable features (such as push-to-phone) for older devices where the OS doesn’t have support for it. In fact, I probably spend more time on tweaking styling and rotation than I do on general version issues. The difference between 2.3 and 3.1+ is really huge for developers. The introduction of the holo theme and the action bar really made things a lot easier in my opinion. Obviously there’s a way to bring the action bar to 2.3 but it still requires some tweaking. Just because manufacturers can’t keep up doesn’t mean Google should stop. They’re now the most popular mobile OS on Earth and if they slow down they may lose that. With the new nexus scheme rumoured this should be far less of an issue but I’m sure they’re leaving it up to consumers to complain in order to get things to happen (updates to roll out faster) on the manufacturing / carrier side. If this nexus scheme comes to life, I predict the Nexus versions will far outsell the skinned versions and finally tell manufacturers once and for all “your skins are unwanted, we want vanilla”. They may finally get it. The rumour is android will release their OS with optional themes inc manufacturer theme you simply choose whether to have the theme/skin if manufacturer doesn’t update their skin when Google does the phone reverts to latest stock Google﻿.